If you usually wake up abruptly at night and are very sleepy during the day, you may be suffering from this disease. Does the person with whom he sleeps complain of his snoring, of his abrupt awakenings or is he frightened by his long pauses in breathing? Do you feel that you do not sleep well at night and during the day you suffer from constant drowsiness? Do you suffer from headaches, stress, irritation or difficulty concentrating during the day? If your answer is yes to any of these questions, you may suffer from sleep apnea, the disorder that involves the transient suspension of breathing and may even cause death. “There is a physiological apnea that consists in the suspension of breathing for 10 seconds or less. A longer time of suspension is considered abnormal, pathological, “explains Fabián Fragozo Hani, Neurologist Specialist in Sleep Disorders recommends cpap masks for side sleepers. In general, the patient is not the one who detects the symptoms, but the person who sleeps with it. “That my husband snores like a lion, that he stays without breathing and gets up terrified”: these are the phrases Dr. Fragozo usually hears in his office. “Of course, when those pauses in breathing are prolonged, exceeding 20 seconds, the blood oxygen lowers and the patient wakes up as if he had a nightmare,” he said. This, according to the neurologist, can lead to an acute myocardial infarction or cerebrovascular disease. It is therefore important that people who believe they suffer from the disease consult their doctor. Who are more likely to suffer from this condition? Sleep apnea is much more frequent in adults between 30 and 50 years old, “because at that age it is when more patients are seen obese or with nasal alterations like hypertrophy of turbinates or deviation of the nasal septum. It is also common in people who suffer from a growth of the tonsils or the uvula, which obstructs the passage of oxygen to the lungs. However, this disease is not seen in children and young people. According to the study Global Epidemiology, Latin American and Colombian and mortality of SAHOS, of 2017, snoring patients have an 80% probability of suffering from sleep apnea; 77% with obesity; 59% who use pacemakers; 50% of those who have congestive heart failure, atrial fibrillation or diabetes; 35% of hypertensive patients and 30% with coronary artery disease. In fact, “as oxygen in the blood decreases with apnea, patients with a history of heart or brain infarcts can repeat these events again,” Fragozo said. In this sense, the neurologist suggests that people with morbid obesity, hypertension or diabetes, who have suffered acute myocardial infarctions or cerebral infarcts, who snore, whether children, youth or adults have to go to consultation with the sleep specialist. In general, the patient or their family members express the suspicion that they are suffering from the disease. This person can be referred to the otolaryngologist or neurologist. In otorhinolaryngology, a TAC of paranasal sinuses or another study called nasofibrolaryngoscopy is performed, with which you can know what type of obstruction is the one that generates apnea in the patient. On the part of the neurologist or the sleep specialist is diagnosed through polysomnography, a study that takes place during the night sleep, for approximately six hours. “This evaluates the patient’s snoring, how many apneas he has while he sleeps, how is the quality of his sleep, how much oxygen decreases in blood and how much his legs move,” Fragozo explained. That, he added, added to an oximetry, to measure the saturation of oxygen in the blood and, later, the CPAP titration is performed, the test that determines the adequate pressure that the equipment must have. CPAP is the initials in English of (Continuous Positive Airway Pressure), in Spanish continuous positive airway pressure, a mechanical device used to treat apnea during sleep. This includes a mask, tubes and a fan, and it is placed over the face while the affected person sleeps. Apart from the aforementioned acute myocardial or cerebral infarctions, which would be the most serious consequences, there are others that affect the daily activity of those who suffer from sleep apnea. Other consequences are anxiety, irritability, lack of energy, slow thoughts and difficulty memorizing. So, these consequences are also symptoms by which the person can anticipate suffering from sleep apnea. “There is no medical treatment in pills or syrups that help improve this condition. The treatment is surgical or with the help of CPAP, “said the neurologist. When people, mainly young people, resist the use of CPAP, Fragozo explained, they are referred to the otolaryngologist, who can perform some type of surgery that improves the respiratory tract. In the case of patients with morbid obesity, those who weigh more than 100 kg, are referred to the gastroenterologist, who can perform a bariatric surgery, in order to improve their oxygenation. Those who believe they suffer from the disease, should attend a medical consultation and present their case. Those who have already been diagnosed, should follow medical recommendations, try not to sleep on the back, avoid alcohol intake, tranquilizers or smoking and exercise moderately at dusk. 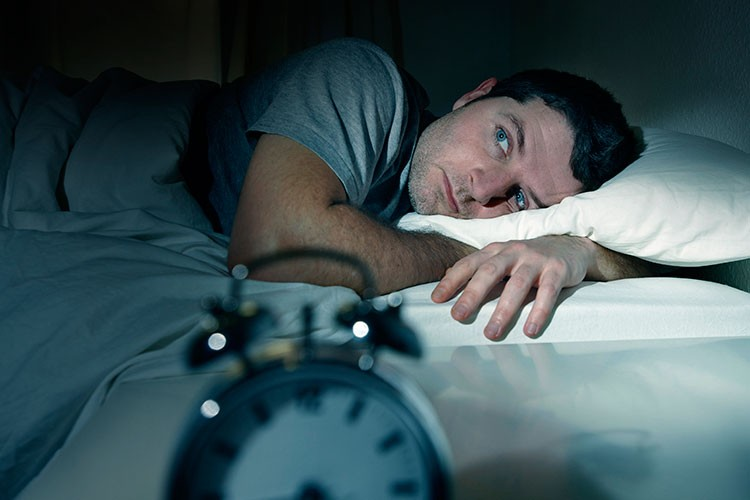 “People who suffer from sleepiness due to apnea are advised not to drive or perform high-risk jobs, since they put their lives and the lives of others at risk,” said Fragozo. In the Neurovital Sleep Center, the neurologist Fragozo attends an average of five daily patients who suffer from sleep apnea. In Colombia, according to the SAHOS study, the prevalence of sleep disorders is 27%, which constitutes a public health problem. However, there is no exact data on the frequency of diseases in the country. At LA Dental Experts, we offer comprehensive dental care to all our patient, on top of that additionally, we specialize in new popular clinically proven treatments for obstructive sleep apnea. One of the most popular prescribed solutions for symptoms of Obstructive Sleep Apnea is CPAP (continuous positive airway pressure machine), a common and effective, yet somewhat unpopular treatment for sleep apnea. As an alternative to traditional CPAP therapy, or in conjunction with CPAP therapy, patients who suffer from mild-moderate obstructive sleep apnea can now benefit from Mandibular Advancement Device made by our dentists at LA Dental Experts, which is excellent news for the users who are unsuccessful with CPAP therapy. Patients can enjoy a better-quality sleep and improved symptoms without any need for tubes, masks, or bulky CPAP machines running all night next to their bed. Our medically approved device is much more appealing to our patients and their sleep partners. The ease of use of our appliance is also exceptionally convenient to our patients when traveling for business or pleasure. Mandibular Advancement Device made by LA Dental Experts has been proven to decrease symptoms associated with obstructive sleep apnea, which in turn will increase patient energy, reduce daytime sleepiness, reduce snoring, and lead to a better quality of sleep. As this procedure is currently prescription-based, only licensed, experienced providers can perform the treatment. Our dentists at LA Dental Experts are one of the top providers in Los Angeles, California. Mandibular Advancement Device may not be the only treatment remedy prescribed by your medical doctor to deal with sleep apnea, but it is surely an exciting new option for many of our patients that correspond with their lifestyle. Each patient referred to LA Dental Experts by their medical doctors, as well as those patients coming to LA Dental Experts on their own, are provided with a consultation appointment to discuss all the risks, benefits associated. Based on the medical doctor recommendation, we will follow the best approach to a customized, comprehensive treatment plan with ongoing care.